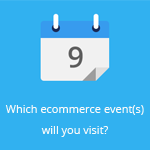 May 14, 2013 by Ecommerce News. About Acquisition with tags Germany. 3227 views. Foot Locker is only a few steps away from buying the Germany-based store and online retailer Runners Point. The American retailer of sportswear and footwear has paid 94 million dollars (€72 mln) for the company but the deal still has to get a green light from the German authorities. Foot Locker, founded in the seventies by Kinney Shoes which is owned by Woolworth, is trying to gain more ground in Europe, where it already operates more than 500 stores and took in sales of $24.2 million in 2011.